In the UK, the Centre for Progressive Policy says that the UK Land Compensation Act for England & Wales of 1961 should be amended "to exclude prospective planning permission being taken into account for compensation purposes. This would bring England and Wales in line with other developed economies around the world by removing the massive price distortions that continue to plague the land market." Our analysis estimates that every year £9.3bn per annum flows to landowners as windfall profits instead of supporting infrastructure investment and housing. Over a 20 year period this amounts to some £185bn, which is a significant amount of potential investment that England is missing out on. Clearly, where land values are highest, such as in London, the returns to land value capture are also highest. For example, Centre analysis highlights that Crossrail II can be entirely self-financed, generating around £69bn of land uplift on an additional 200,000 housing units." KPMG and Savills estimate that future transport schemes in London are also likely to produce large land value uplifts, both in increasing the value of existing properties and by inducing new development. For instance, a sample of eight prospective TfL projects that cost around £36bn (including Crossrail 2, the Bakerloo line extension and the DLR extension to Thamesmead) could produce land value uplifts of about £87bn." Roads are made, streets are made, railway services are improved, electric light turns night into day, electric trams glide swiftly to and fro, water is brought from reservoirs a hundred miles off in the mountains – and all the while the landlord sits still. Every one of those improvements is effected by the labour and at the cost of other people. Many of the most important are effected at the cost of the municipality and of the ratepayers. To not one of those improvements does the land monopolist as a land monopolist contribute, and yet by every one of them the value of his land is sensibly enhanced. He renders no service to the community, he contributes nothing to the general welfare; he contributes nothing even to the process from which his own enrichment is derived." 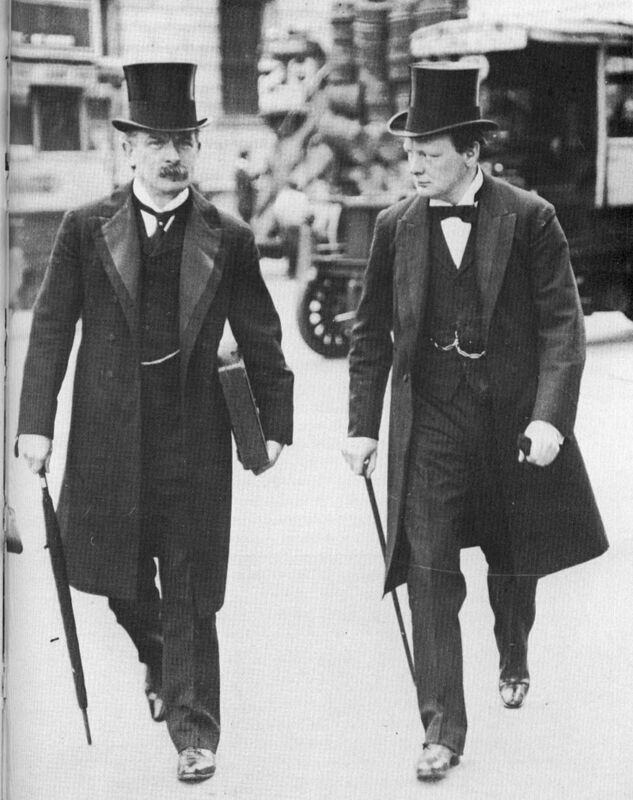 In 1920 when David Lloyd George was prime minister of a coalition government dominated by the Tories, the land taxes were repealed. According to research by German-based economists on house price trends since 1870 in 14 developed economies including, the US, UK, Germany and France, inflation-adjusted house prices have tripled since the start of the last century but most of the rise has occurred since 1950. The economists say that about 80% of the increase in house prices in 1950-2012 was due to land prices. The transport revolution has been a factor as have artificial restrictions on the supply of development land. In 1973 the ‘Report of the Committee on the Price of Building Land’ from an official committee on land prices that was chaired by Mr Justice John Kenny of the High Court, noted that the price of County Dublin serviced development land on average rocketed by 530% in 1963-1971 compared with a rise in consumer prices of 64% in the period. The committee recommended that the price of development land should be based on the agricultural use value plus 25%. In 1975-1980, there was a 700% rise in the cost of serviced land in County Dublin while the consumer price index gained 98%. The monopoly gain for landowners is the mother of all stealth taxes as the site cost of a house can typically range from 25 to 45% of the total cost. There are no official Irish data available on development land prices — mainly because of the strong traditional vested interest power of the construction industry and the farmers’ union. The hoarders who amassed land adjacent to big urban centres could sell without having to pay capital gains tax prior to 1975. In 1963 The Local Government (Planning and Development) Act was enacted. It was largely based on the UK Town and Country Planning Act of 1947 and the 1963 Act also helped to make land scarce and expensive, in a country that was 4% urbanised. The urban area of England is about 11%. The UK Act defined green belt land that had to be kept rural, which became a powerful tool for Nimbies (not in my backyard syndrome) and a bizarre impact of the protection of the green belt is that in urban areas school playing grounds could be sold off for development. No action had been taken on the 1973 Kenny committee recommendations and in 2000 Bertie Ahern, then taoiseach, asked the All-Party Oireachtas Committee on the Constitution to assess whether the Constitution blocked legislation which would control or regulate the price of building land. It reported in 2004 that it was “very likely that the major elements of the Kenny Report recommendations...would not be found to be unconstitutional”— no action was again taken. In 2001 the Government had surrendered to land price demands of the Irish Farmers Association (IFA) and in 2006 the National Roads Authority disclosed that land acquisition costs accounted for 23% of the national road-building budget of €18.5bn, but the equivalent ratio was 12% in England, 10% in Denmark, 9.4% in Greece and 1% in Iceland. The Irish State spent €30m on goodwill payments to landowners for not obstructing agricultural land sales for road projects between 2007 and 2011 — in effect being paid for not breaking the law of the land during a period of austerity! In recent times land has become an investment product and in the October 2014 budget, Michael Noonan, finance minister, cut the windfall profits tax of 80% on rezoned land that had been introduced in 2009 to 33% to encourage the supply of development land — for a politician, this type of measure is an easy thing to do while lacking the courage to confront vested interests. Last March, Glenveagh Properties, the Irish housebuilder that floated on the Irish Stock Exchange in 2017, was reported to have estimated that 11 of the most active overseas buyers of Irish property and distressed loans in the recession years, owned land on which 17,000 homes could be built. The Government plans to raise the annual vacant site levy from 3% to 7% in 2019 to discourage hoarding of land that could be used for housing. Earlier this month, Deputy Mick Wallace, a former developer, introduced a Bill in the Dáil that would raise the levy to 25% — a powerful disincentive. there are significant concerns about the constitutionality of specific provisions of the Deputy's Bill, which propose to dramatically increase the levy from 3% to 25% of the market value of a site, remove the important and fair appeals provisions in particular circumstances, and facilitate the purchase of vacant sites deemed suitable for housing purposes from site owners for not more than 60% or 40% of their market value in specified circumstances. Taking account of previous advice, these provisions are likely to be considered to be excessive, unreasonable and in conflict with the constitutional provisions relating to individual private property rights. In effect, these proposals, if introduced, would weaken and undermine rather than strengthen the legislation and would probably be found unconstitutional by the courts. That could then have far-reaching implications for the concept of the levy and any actions arising. I do not believe that is Deputy Wallace's intention. His intentions are genuine, but we need to safeguard robust and proportionate measures against perhaps desirable but unworkable and counterproductive reforms. I recognise that the Deputy is genuine in what he is trying to do and many who will support him are of the same belief. As a Government, we try to bring in legislation that is balanced and that would be successful if it were legally challenged. Notwithstanding these significant concerns, in light of the fact that the Government is addressing some key elements of the Bill through the amendments outlined, we are not intending to oppose the Bill at this stage. According to Eurostat this year, Irish agricultural land prices are the fourth highest of 20 EU member countries. It's time for bold action in the public interest not more band-aid measures. While there is sufficient land available in the Dublin region for housing development, a considerable proportion of this stock is highly fragmented into small lots that would require some form of aggregation to facilitate increased housing supply. 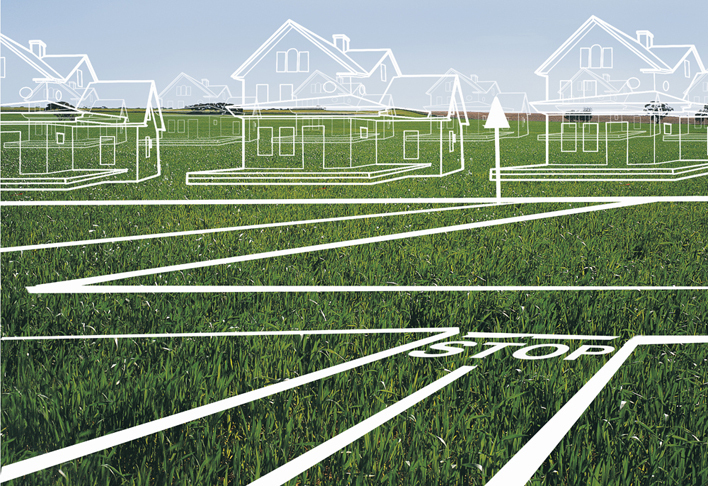 [ ] First, local authorities withdrew from intervention in the land market. In the 1970s, they owned around 30% of zoned building land and sold land during upturns and bought it during downturns. But in June 2006, only 9% of zoned residential land was owned by local authorities. Second, land developers filled the gap left by local authorities, and this shifted market power from builders to developers. Third, ownership of large amounts of building land in some areas was very concentrated, and these landowners cooperated rather than competed, contributing to poor land market performance. In County Dublin the average price per acre of serviced land was £1,100 in 1960 and £7,000 in 1971 and the average price per acre of potential building land was £300 in 1960 and was £2,500 in 1971. The cases we have examined corroborate these conclusions. These disproportionate increases arc not confined to the County of Dublin: similar ones have occurred in the other counties which contain cities and large towns. In 1938, a farm of land containing 128 acres with a substantial residence on it in Clondalkin, County Dublin was purchased for £3,600 when it had no value as building land. The land have not yet been provided with services but in 1971 the Corporation of Dublin decided to acquire them for their building programme. They negotiated an agreed purchase price of £192,075 with the owners. This was reasonable having regard to prices which were being paid for similar land near Dublin. There was no element of speculation whatever. This an increase in price of over 5,000% between 1938 and 1971. In October, 1964, 60 acres of land in Castleknock, County Dublin were sold for £67,000. In March, 1965, the purchaser sold them to a finance company for £160,000 and so made a profit of about 140% in a few months. Planning permission to develop the lands was granted to the finance company on the 6th September, 1968.